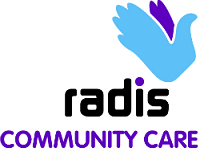 Radis is a community based care and support provider established in 2001, providing community based social care and support for vulnerable adults living in England and Wales. They aim to provide community based social care and support services that enables people to live independently within their own homes. Follow Radis Community Care on Facebook. Follow Radis Community Care on Twitter.